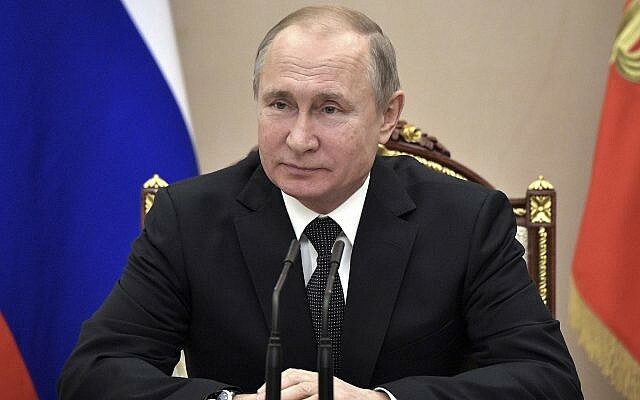 MOSCOW — Russian President Vladimir Putin on Saturday said Russia was suspending its participation in a key Cold War-era missile treaty in a mirror response to a US move the day before. “Our American partners have announced they are suspending their participation in the deal, and we are also suspending our participation,” he said of the Intermediate-Range Nuclear Forces Treaty. Putin said during a televised meeting with foreign and defense ministers Sergei Lavrov and Sergei Shoigu that Russia would no longer initiate talks with the US on disarmament. “We will wait until our partners have matured enough to conduct an equal, meaningful dialogue with us on this important topic,” Putin said. 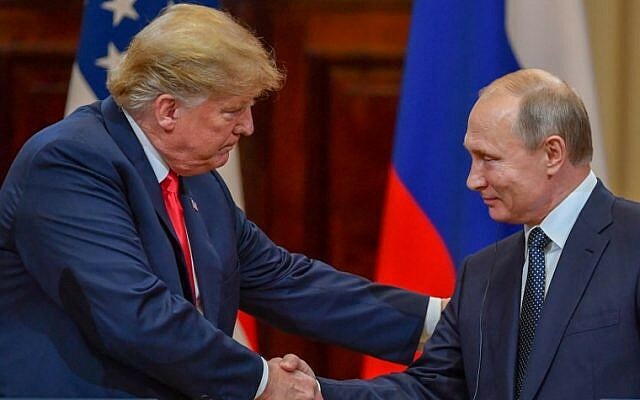 US President Donald Trump said Friday that Washington was suspending its obligations under the INF treaty and starting a process to withdraw in six months. Washington says a Russian medium-range missile system breaches the INF deal. Lavrov on Saturday repeated Russian accusations that Washington itself has been in violation of the deal for many years. At the meeting, Putin said Russia would seek to develop medium-range missiles in response to what he said were similar projects in the US. Russia would only deploy intermediate- and short-range missiles in Europe or elsewhere in answer to similar moves from the US, he added. 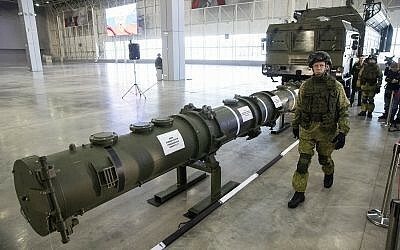 Putin has previously threatened to develop nuclear missiles banned under the INF treaty if it is scrapped. European leaders have voiced fears over the consequences of the treaty’s demise and called on Russia to address concerns before the United States formally leaves in August. Signed towards the end of the Cold War by then US president Ronald Reagan and Soviet leader Mikhail Gorbachev, the treaty bans ground-launched missiles with a range of between 500 and 5,500 kilometers. This entry was posted in Country, Disaster / Emergency, Government, Russia, Violence - Evil, World and tagged Russia building up military power, Russia increasing missile development by Gordon King. Bookmark the permalink. Very interesting development. In all honesty, I’ve never honestly believed that either side has actually kept the terms of that treaty. The only questions in my mind are, “Who violated the treaty first?”, and “Was the ink on their signatures even dry before they did it?” I doubt very much that this will change anything, except that no one’s keeping up pretense anymore. Thanks for your comment TEP336! You are probably right on that. But my main thought was that Russia and Iran are both very busy building up their weapons of destruction, both key players in the Ezekiel 38 War of Gog and Magog.